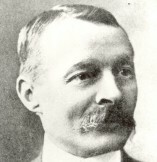 Charles Pathé, the third son of Jacques and Émilie Pathé, established pork butchers, was born at Chevry-Cossigny, a market town in the Seine et Marne Départment, on 26 December 1863. After what he later described as a difficult childhood and youth, lengthy military service and a hazardous journey in South America, Charles returned to France and, in October 1893, he married. While working for a meagre salary for a lawyer, he chanced on the novelty of the moment, the Edison Phonograph, which was a sensation at the Vincennes Fair on the east of Paris and with partly borrowed money, he bought one. On 9 September 1894 he returned with his wife to one of the best known fairs of the period, that of Monthéty to the east of Paris, and in the one day, at a charge of 20 centimes a listener, made 200 francs. Quickly seeing the advantages of selling rather than using the Phonograph, he bought three examples in London, and successfully resold them. Shortly after, another curiosity appeared - the Edison Kinetoscope. Charles, who had opened a shop at 72, cours de Vincennes in Paris, revisited London in 1895, bought pirated Kinetoscopes manufactured by Robert Paul and resold them to fairgrounds. Later in 1895, he was associated for a while with Henri Joly who manufactured for him a camera to take films for the Kinetoscope. But the future of Charles Pathé was decided by the arrival of the Lumière Cinématographe. On 28 September 1896, with his brother Émile, he formed the Société Pathé Frères, whose office was at 98, rue de Richelieu in Paris. A year later, the company became, thanks to a certain Claude Grivolas, the Compagnie Générale de Cinématographes, Phonographes et Pellicules (Anciens Établissements Pathé Frères) with the two brothers as directors. From then on, the company, under the direction of Émile for the phonograph and of Charles for the cinematograph, flourished, expanded and sold all over the world. 'I did not invent the cinema, but I industrialised it' wrote Charles Pathé later. A modest first factory had been installed since 1896 at Vincennes. Charles Pathé himself probably made the first films of the Société Pathé Frères such as Le Passage à niveau à Joinville le Pont and L'Arrivée d'un train en gare de Bel-Air. For several years the phonograph underwrote the success of the company. In 1898, a phonograph cylinder factory was built at Chatou, west of Paris and, in 1903, enlarged. In August 1900 the company amalgamated with the Manufacture Française d'Appareils de Précision, (Anciens Établissements René Bünzli et Victor Continsouza) to form the Compagnie Générale de Phonographes, Cinématographes et Appareils de Précision. From then on Charles Pathé developed both the manufacture of negative and positive film, the creation of factories and studios, and the making of cameras and projectors for sale worldwide. From 1902, new film studios and new factories for the manufacture and development of film were constructed at Vincennes, at Montreuil sous Bois and at Joinville le Pont. The company then extended, creating branches all over the world: February 1904, Moscow; July 1904, New York, and so on. At the beginning of 1908 Charles Pathé decided to create centres of film production abroad more or less independent of the French parent company: in 1909 at Rome and Moscow, in 1910 in the United States at Jersey City, and later in Holland, in Belgium, etc. The number of films produced continued to increase growing from seventy in 1901 to nearly 800 in 1912. 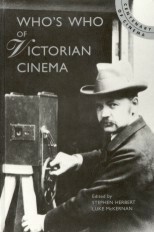 In 1907, Charles Pathé, following English and American practice, started to rent his films instead of selling them. A little earlier, he had undertaken, in collaboration with exhibitors, the construction of permanent halls of which the first, the Omnia-Pathé in Paris, opened on 15 December 1906. By now many Pathé films were hand-coloured, but very quickly, mechanical colouring processes were perfected in the company's laboratories and by 1912, the Pathé-Color process was used in at least one film in five. In 1912, Charles Pathé, who had proposed the idea in 1909, created the famous Pathé Kok, 'the home cinema' in 28 mm format that the Pathé-Baby was to supplant in 1922. As the company had expanded, Charles had surrounded himself with numerous devoted collaborators: commercial travellers and branch managers such as Sigmund Popert, J. A. Berst, Hache; directors or producers such as Ferdinand Zecca, Albert Capellani, Pierre Decourcelle, Paul Gugenheim or Louis J. Gasnier; chemists or engineers such as Jacques Marette, Henri Garrel; experts like Dr J. Comandon and a whole galaxy of valued performers to whom Charles Pathé paid tribute in his memoirs. Charles Pathé, in addition to having the obstinacy and drive needed to create and lead the company that carries his name, was a shrewd and pragmatic businessman with an exceptional commercial talent. However, Charles Pathé, co-director in 1912 with his brother Émile, was obliged from early 1914, to attempt to restructure this huge empire. But four years of war provoked the breakup of the firm. In 1927, with the creation of Kodak-Pathé, Charles Pathé retired. He died at Monaco on his 94th birthday.